Dr Manoj Dora is currently the Director of Large Collaborative Projects and Outreach at Brunel Business School. He has several years of experience in teaching, research and consultancy worldwide. His areas of specializations are Sustainable Value Chain and Quality Management with a particular focus on Lean Six Sigma in the agro-food sector. Manoj’s research is an innovative application of cross-cutting operations management theories such as Lean and Six Sigma in the agriculture and food sector which will redesign agricultural production as it is today to improve efficiency and eliminate waste and losses. He has been involved in a large number of capacity building initiatives focusing on the food sector in different African and Asian countries. At the same time, he has also worked with over 50 European SMEs to implement lean principles as part of their operations. Dr Dora has significant practical experience and interdisciplinary research publications in the field of sustainable food supply chain management and food security. 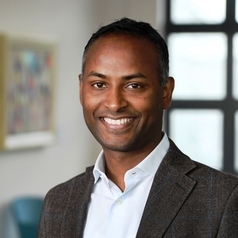 Manoj’s current research aims to map the humanitarian supply chain and its impact across the different stakeholders in the developing country context using “lean thinking” principles. Manoj has been successful in acquiring research grants from the World Bank, European Commission (FP7), British Academy, UKIERI, British Council, Newton Fund and several private companies. Some of the important grants include FoodManufuture (2012-2013), Innovative management System for Food SMEs (IMSFood) (2010-2012); VLIR Interuniversity collaboration project (2013-2025). He is also active as a research grant reviewer for the European Commission and other funding agencies.